"Adventure awaits"! 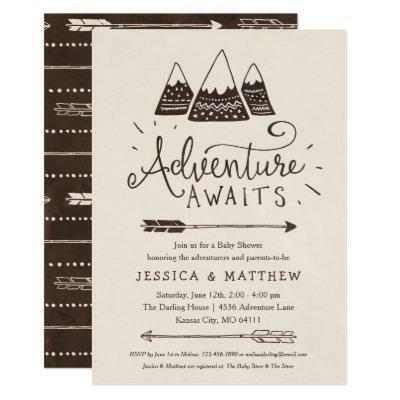 in these rustic adventure themed baby shower invitations. Featuring hand-drawn mountains and arrows in simple brown and cream. Perfect for woodland / camping / tribal adventure themed baby showers.